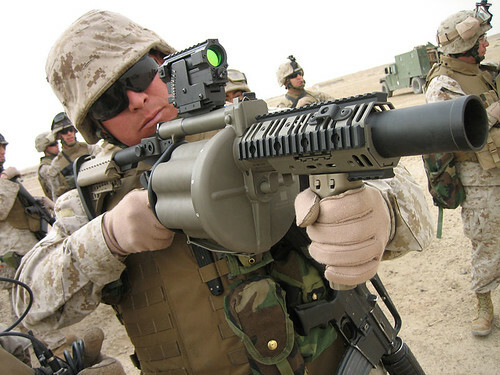 800px-M-32_Grenade_Launcher, originally uploaded by H7B. That's no soldier. That's a marine.